The blessing of the animals, honoring St. Francis and the relationship between us and our furry and feathered friends, will be held on Oct 1 between 10 am and 5 pm. 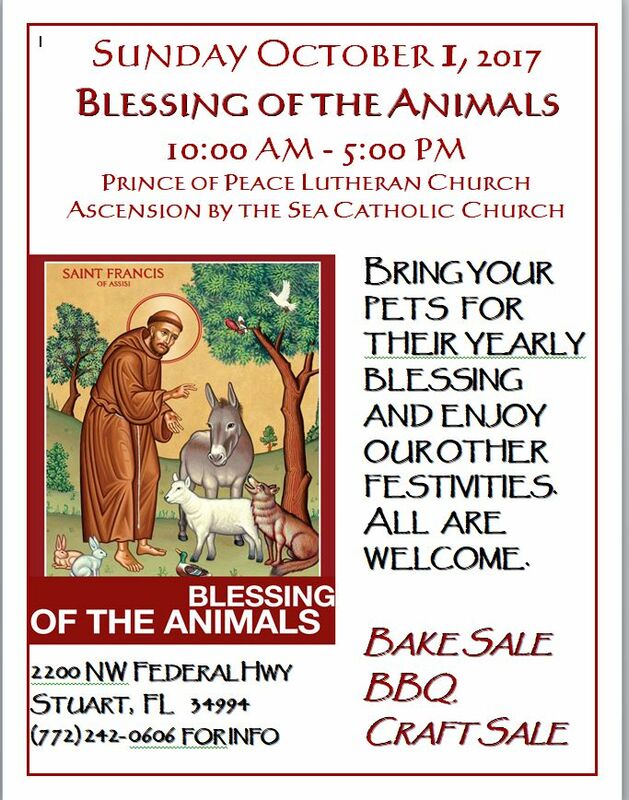 A joint project between the Prince of Peace Lutheran and the Ascension by the Sea Independent Catholic Community, Please bring your pets to be blessed Pastor Bob and Bishop Tom. There will also be a craft sale, a bake sale, and BBQ available. What a great time to bring the kids, get a jump on Christmas shopping, and enjoy a great BBQ luncheon treat or a great tasting home-baked goodie. 10:00 am till 5:00 pm..